I want to say thank you to all my readers - who are all over the world, so this competition is open to everyone from London to Sydney! The winner will be selected at random and announced on Tuesday 2nd August. They will be contacted by email so please leave your email address with your comment. YAY Congrats on the 500+ followers :-). Cool giveaway :). I have also just tweeted :). well done on reaching 500 plus! Thats so great. Thanky ou for this giveaway!! Congrats on 500 followers !!! 500 followers!? Wow, well done lady! Congrats on reaching 500. Great giveaway. I follow through GFC as Beauty's Bad Habit. Hi :) Thank you for this amazing giveaway! fab prizes good luck all. What a lovely giveaway! Congratulations on reaching 500 followers! I follow you on GFC and Twitter (I know that doesn't count... but still). I've also tweeted your giveaway and as soon as I figure out how to put it on my blog sidebar I will let you know!! Oooo I think I've done it!!! Check out the sidebar thingy-bob!! i follow via bloglovin which i hope is ok! Yay, congrats on the big 500! Woohoo! Congratulations on your 500+ followers, Alice! Those are awesome prizes!!!! Good luck to everyone who enters! Lovely blog and so kind of you! Hi Many congrats on getting 500+ followers. Congratulations on all the followers :) You deserve it!! I'm following via GFC as Savannah. Congrats on 500 followers thats great! Still a big fan of your blog. Congrats on the 500+ followers! Congratulations on 500 subs! These are all great prizes! Congrats on reaching 500 followers!!! Congrats on 500 readers! So glad I found your blog + find lots of inspiration here. Congrats!! So excited about the giveaway! They do not sell MUA where I live! Following Twitter as: @joyann1968 and I tweeted about your giveaway. I liked your Facebook as: Joyann Yt and shared your link about this Giveaway! 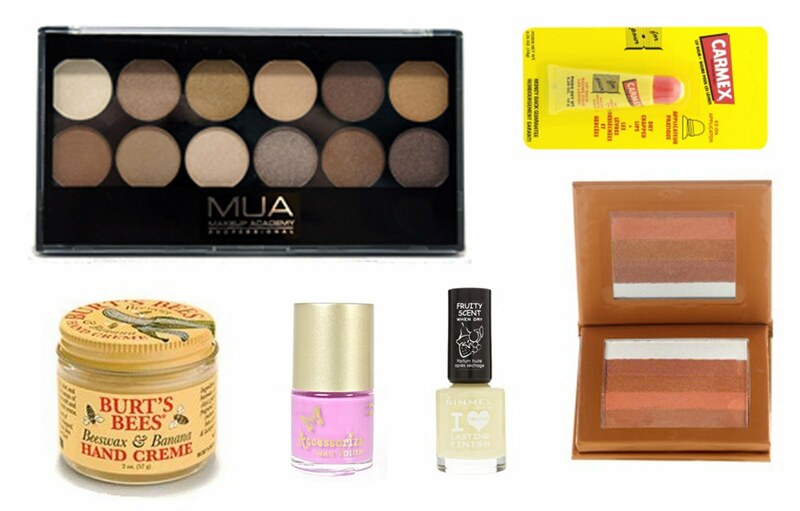 Im so pale so the MUA is ideal shades for my skin so id love to win this. Hey, congrats on the followers! hey cool post! thanks for the giveaway looks like good stuff. following you on via gfc..
Well done on the 500 followers! Hi! Congrats on your followers and thanks for the great giveaway! I hope I win! thanks alot 4 this giveaway!!!!!!! Congrats on your 500 followers !!! i now follow your blog and have done all your requirements. I follow on twitter @Sad20ful. Hi, Congrats on all the followers :) Lovely giveaway! - I follow you on GFC as Anastasia . Hi, congrats and enter me please! Hi :) Congratulation on 500 Followers! Thx for this amazing giveaway ! !